Have you been stuck in traffic and experienced the congestion in the air? You can easily smell the other pollutants but gases like carbon dioxide are odourless, nevertheless be sure it is being emitted in large proportions through the vehicle exhaust. Every trip with every vehicle will cause some amount of greenhouse gas emissions due to burning of fossil fuels. And not surprisingly, transport is one of the major contributors to these emissions in cities / urban areas, globally. We cannot stop commuting but we can easily reduce emissions by some easy and known measures. The strategy… less is more! The most energy-efficient machine in the city is your body, so use walking, running and cycling as many times as you can. Share the emissions by sharing vehicle with more number of people, use public transport like locals, buses and wait eagerly for the metro. The biggest contributor within transport is use of private vehicles. They use disproportionally large amount of fossil fuels for a single trip as compared to modes of transport mentioned above. 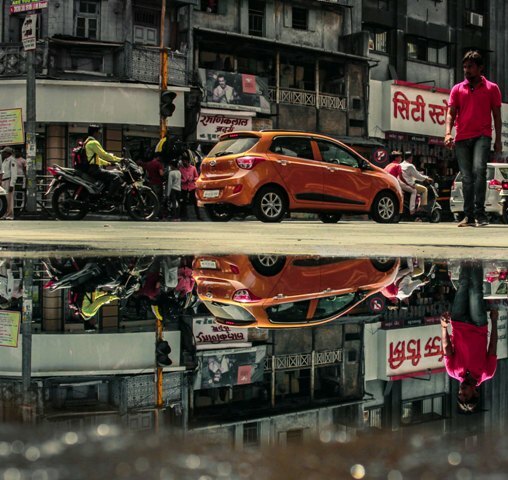 Besides if you are tired of traffic congestion, unavailability of parking spaces, parking and vehicle maintenance charges, vulnerability to road accidents and health issues due to pollution and driving long distances, then the important piece of information is that in Pune – The number of vehicles by far exceeds the number of people living here! Hence, ride when you can drive, cycle when you can ride and use walking and public transport as much as you can. This will save you three things – expenses on fuel, time wasted in the queue at the fuel station and a large amount of greenhouse gas emissions you are responsible for. It is much healthier to exercise than be idle. Hence, use Apps like Fitbit and Yulu more than you use Ola and Uber. And also exercise your brains to find ways to reduce number of trips and hence your efforts. What is hindering the change and execution? Public and non-motorised transport are already affordable, safe, accessible, healthy and environment-friendly (and reducing the city’s greenhouse gas emissions), and it has a long-standing connection with public life. It only requires enhancement of convenience, comfort, regularity and security while using them. And this is decided by local government and resident committees and societies. A comprehensive mobility plan is required to bring about this change. 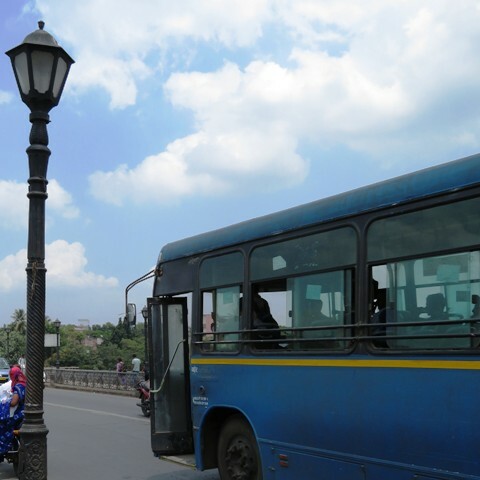 Policy reforms to improve the quality and quantity of sustainable modes of transport are the need of the hour. And changes in road use and space utilization of public spaces will make these modes an attractive option for people. We need to understand and respect that benefits of sustainable modes are better air quality, low carbon emissions, lower expenses and democratizing citizens by increasing their mutual interaction. And we should recognise the efforts and credit of our fellow citizens who are already doing it against all odds and be inspired by them. Secondly, minimal use of private / unsustainable vehicles and use of fuels like CNG or electricity (which cause less pollution and emissions) when used will help us not just immediately and also in the long run!